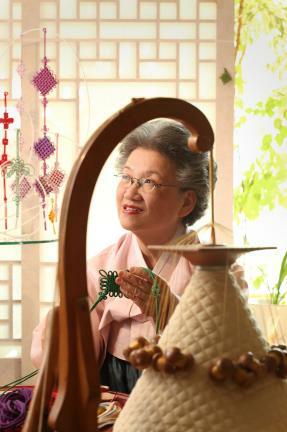 매듭장이란 끈목[多繒]을 사용하여 여러 종류의 매듭을 짓고, 술을 만드는 기술 또는 그러한 기술을 가진 사람을 가리킨다. 끈목은 여러 가닥의 실을 합해서 3가닥 이상의 끈을 짜는 것을 말하는데, 그 종류에는 둘레가 둥근 끈으로 노리개나 주머니끈에 주로 쓰이는 동다회와 넓고 납짝한 끈으로 허리띠에 자주 사용되는 광다회가 있다. 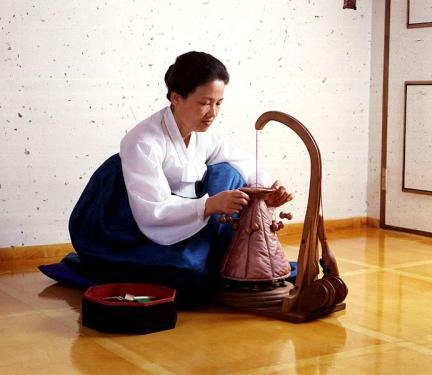 복식이나 의식도구 장식으로 사용되는 매듭은 격답·결자라고 한다. 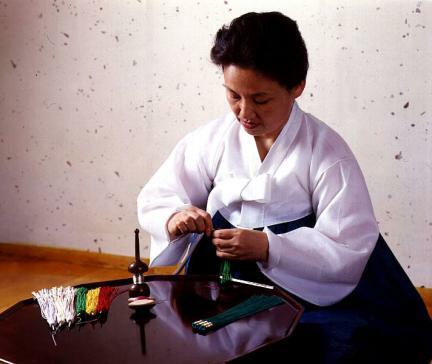 매듭의 기원은 원시시대부터라고 할 수 있으나 우리나라에 전승되어 오는 장식과 실용적인 고유의 매듭 기법이나 염색법은 삼국시대에 중국을 통해 들어왔다. 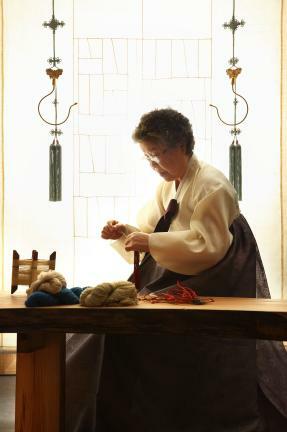 조선시대에는 국가 소속의 매듭장이 있었다. 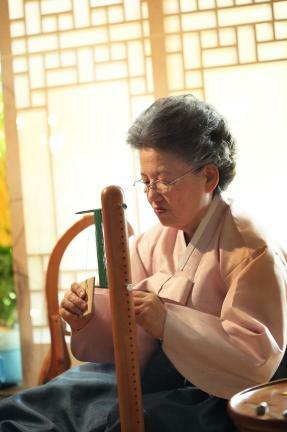 재료로는 명주실, 모시실, 닥나무실, 삼베실, 털실 등이 쓰인다. 끈의 색감, 굵기, 맺는 방법에 따라 형태가 다양하며 지방에 따라 그 이름도 다르다. 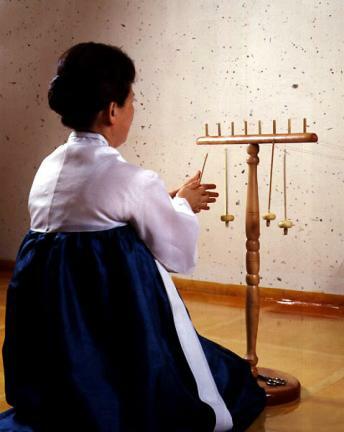 매듭의 이름은 생쪽, 나비, 잠자리, 국화 등 우리가 쉽게 보고 사용하는 온갖 물건, 꽃, 곤충에서 따왔다. 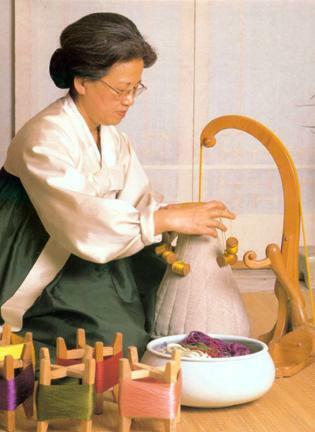 끈이나 매듭의 하단에 다는 것을 술이라 하는데 각종 악기, 교통용구, 불교 도구 등의 장식에 사용하였다. 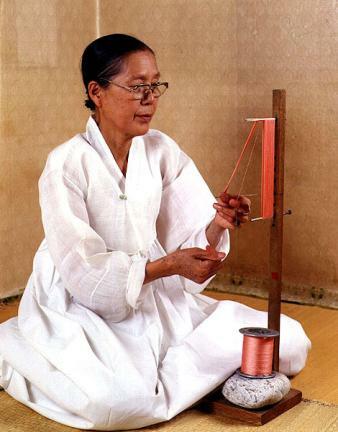 술 또한 쓰임새에 따라 딸기술, 봉술, 호패술, 선추 등 다양하다. 같은 종류라도 궁중과 지방에 따라 그 품격이 달랐다. 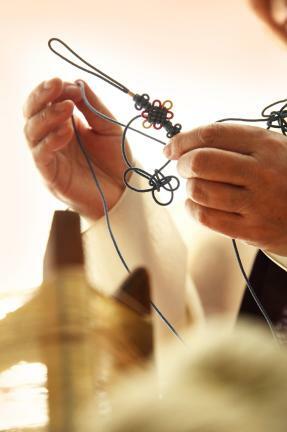 There are several types of strings used to make decorative knots. 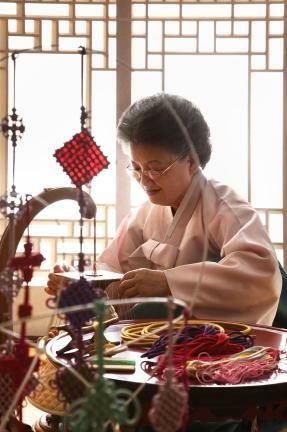 Circular strings used in accessories or pouches are called dongdahoe. 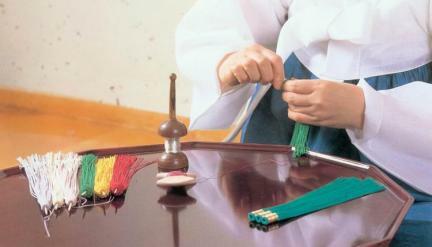 Wide and flat strings used in waist belts are called gwangdahoe, whereas knots used in attire or ceremonial accessories are called gyeokdap or gyeolja. 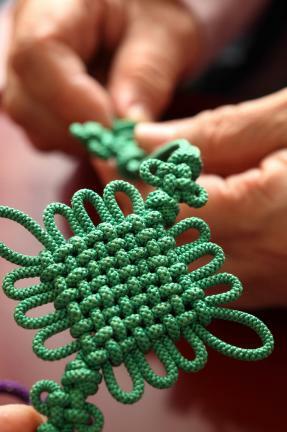 Knots date back to the primeval period, but the techniques for making knots or dyeing them as handed down in this country were introduced from China during the Three Kingdoms Period. 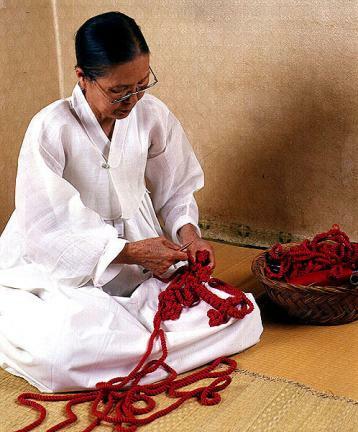 During the Joseon Period, the government designated knot craftsmen. 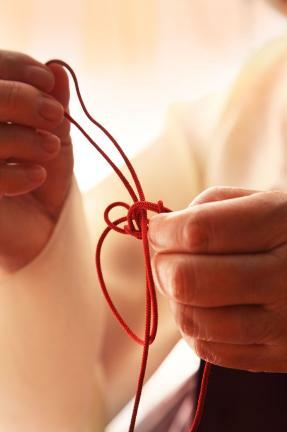 As for the materials used to make knots, there are threads made of silk, ramie, mulberry, hemp, and woolen yarn. 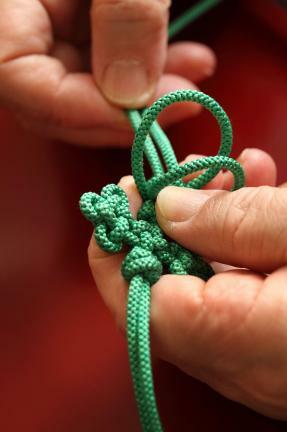 Knot shapes vary depending on the color, thickness, and methods used for tying. 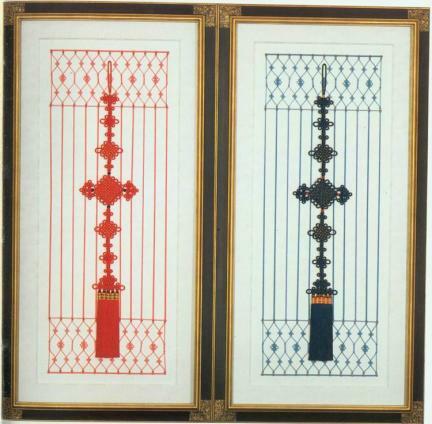 The names used to call them differ from region to region. 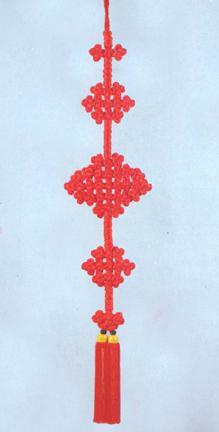 The names were based on household items, flowers, or insects, such as ginger piece, butterfly, dragonfly, chrysanthemum, etc. 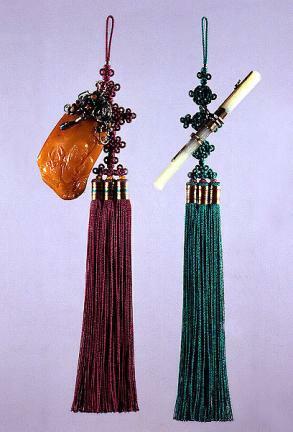 Tassels were attached to the lower end of the decorative knots used for musical instruments, vehicles, or Buddhist ceremonies. 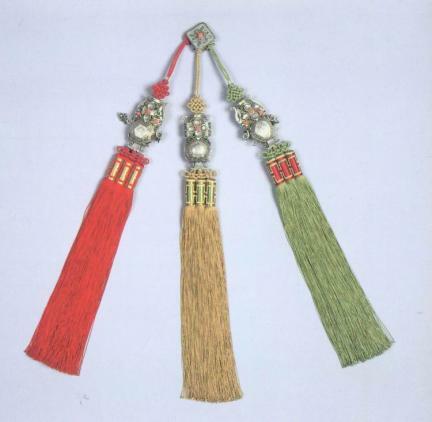 There were diverse types and levels of tassels depending on their use, i.e., whether they were for the Royal Palace or ordinary households.